Compartment top closure,Not open. 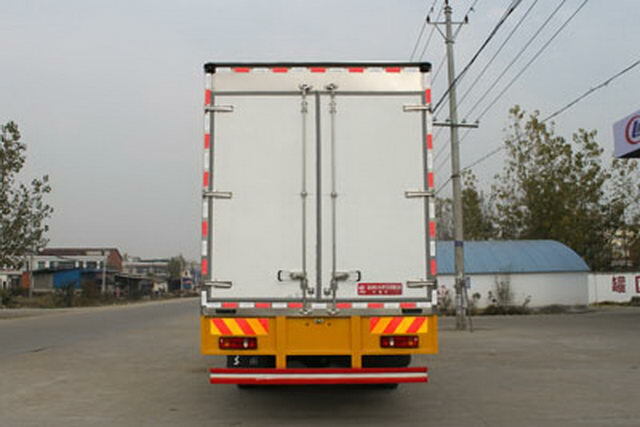 The optional side door,Side protection and vehicle using bolt connection,Material as:Q235A,Rear lower protection device,Material Science:Q235A,Connection mode:Weld connection,Section size(mm):100*50,Height from ground(mm) :510. 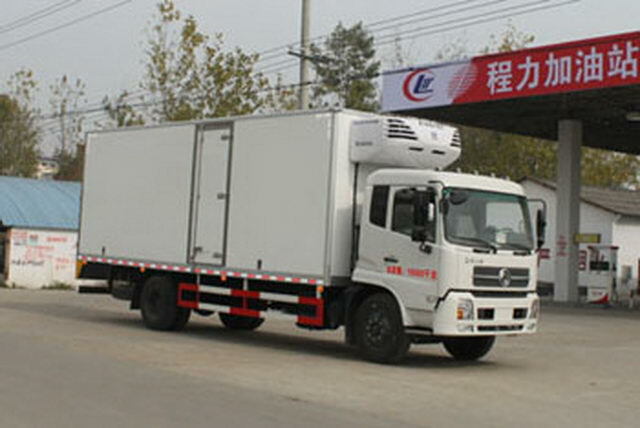 The vehicle mounted travelling data recorder with satellite positioning function. Select engine number:ISDe210 40,ISDe185 40,EQH180-40, ISDe180 40,ISB180 40,Corresponding fuel consumption value(L/100km)Respectively as:26.1,26.3,26.3,26.4,26.5. 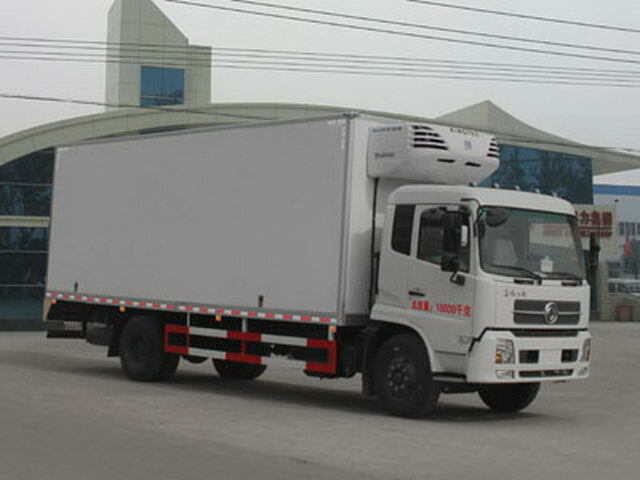 Mounting beltABSChassis.,ABSSystem controller model and production plant:4460046440(3631010-C2000)/WABCO vehicle control system(China)Limited company(Dongfeng electronic Polytron Technologies Inc brake system company). 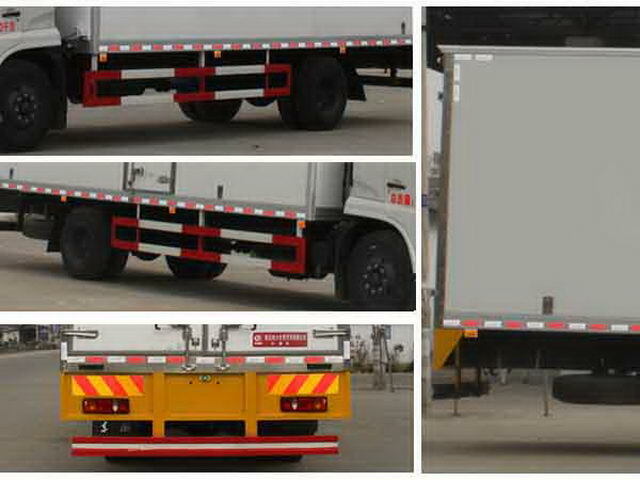 Other: Total length/The corresponding relationship:9600/2570; 9790/2760.Optional single cab.Optional sleeper side window decorative board;Optional cab front spoiler;Optional front fog lamp.AABS,ABSModel:3631010-C2000,4460046440,Manufacturer:The East Branch Knorr commercial vehicle braking system(Shiyan)Limited company,WABCO vehicle control system(China)Limited company.The chassis is optional front exhaust pipe,Optional disc brake,ISB180 40Optional engine speed limiting device,Speed limit80km/h.